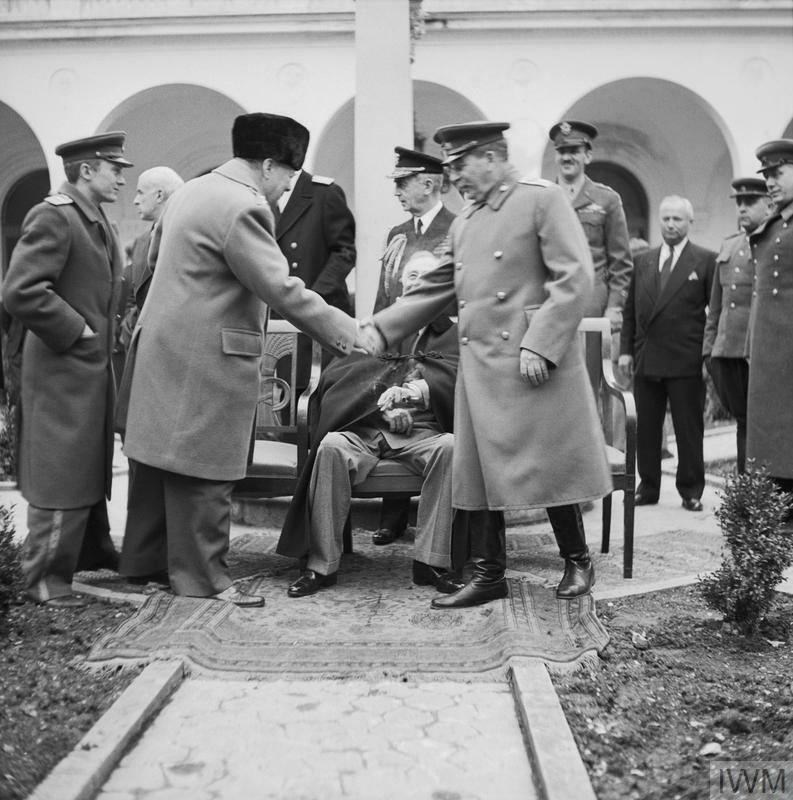 Winston Churchill (standing left) shakes hand with Joseph Stalin (standing right) outside the Livadia Palace during the Yalta Conference. 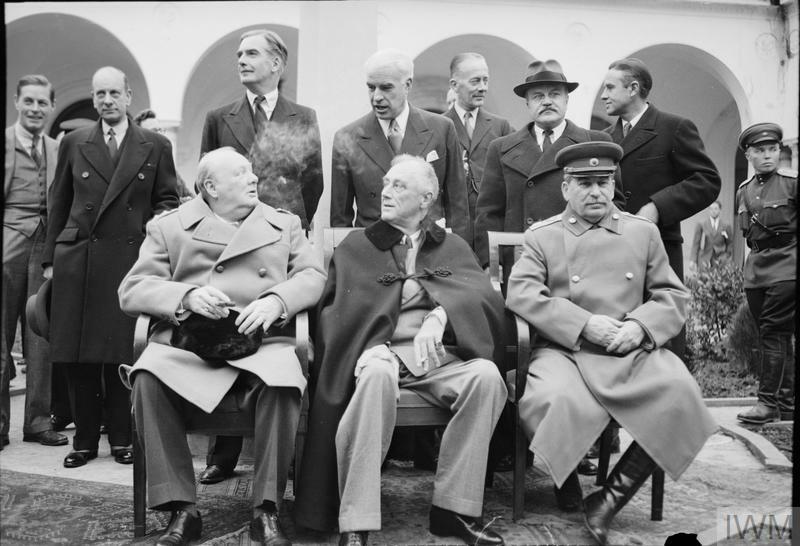 President Roosevelt is seated between them. 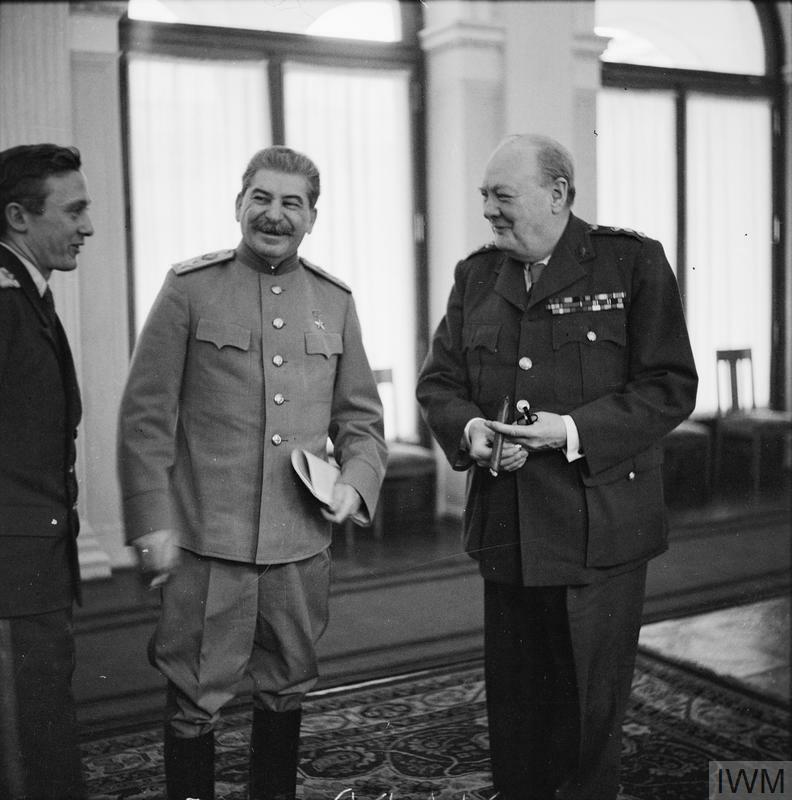 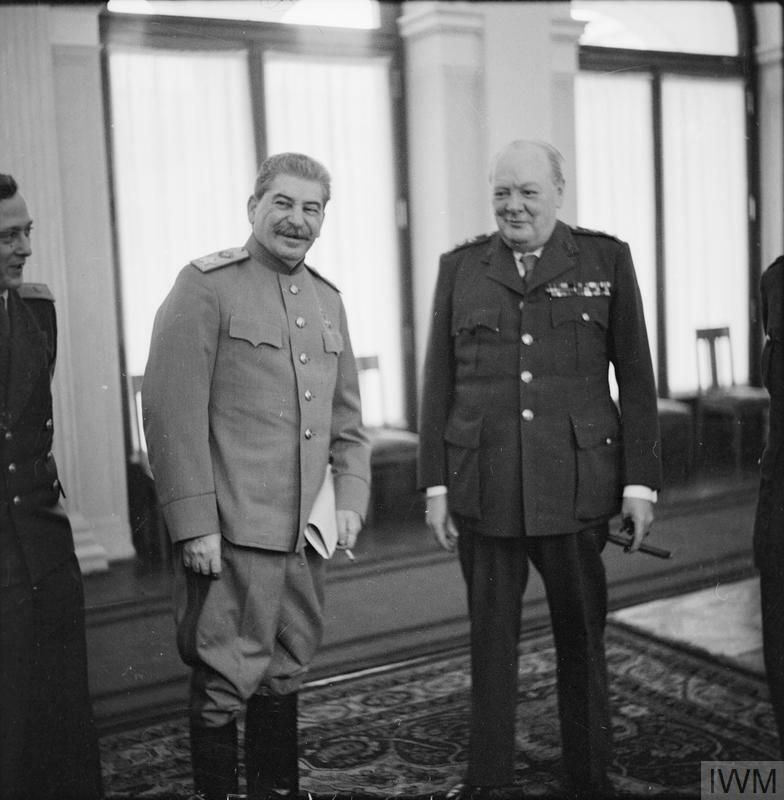 Just visible between Churchill and Stalin is Admiral William D Leahy, Chief of Staff to Roosevelt. 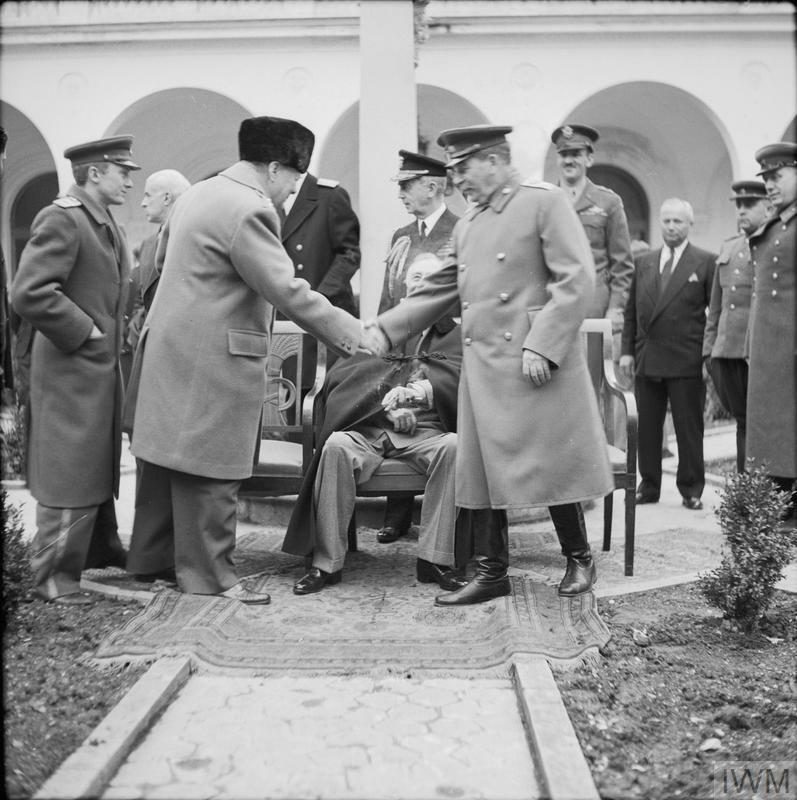 Winston Churchill greets Joseph Stalin with President Roosevelt outside the Livadia Palace during the Yalta Conference, February 1945.